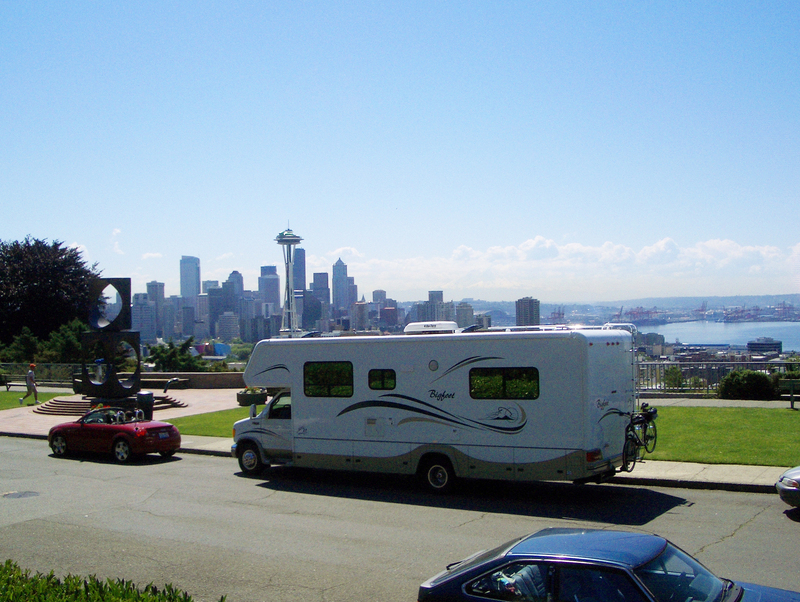 Redmond, WA... having pulled into Camp eHome for the first time, the excitement of my RV plan becoming a reality was countered by my Father's deteriorating health condition back in Charlotte and the death of former President Ronald Reagan. In Bigfoot, I watched President Reagan's funeral before stepping over to Building 50 for work. 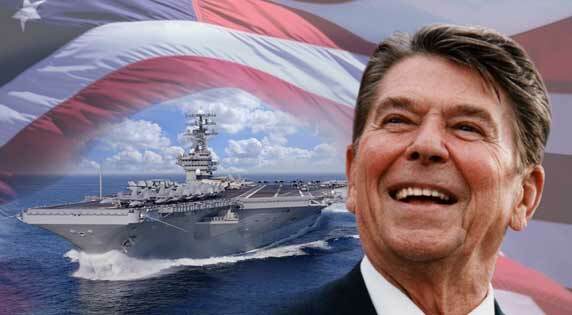 I consider Ronald Reagan to have been the greatest man of the 20th Century. On my way to the lab I made my usual stop at the Building 50 cafe for morning coffee and there I was happy to tell my friend Hong to be sure to step out to take a look at the shiny new Bigfoot! After work on this Friday I rolled on down to downtown Redmond... first to the Workshop Tavern for dinner then the Home Depot for supplies. I spent my first night boondocking in Bigfoot at the Home Depot in Redmond, and arose early the next morning (Saturday) to continue with minor fix-up details. In the afternoon I drove down to Camping World in Fife/Tacoma and stayed there Saturday night. It was a nice feeling being at Camping World with my rig parked outside, after having been in that store so many times dreaming of the day I'd have a rig! Kirkland, WA... giving Nancy a tour of Bigfoot and a ride to her workplace - Seattle Hooters, at Lake Union. Nancy was talking about how I had talked for a long time about getting one of these "Bigfoot cars," and how I now had one... and I must say, I liked that talk!